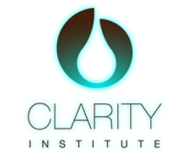 Clarity Institute providing classes for Medical Entrance Coaching classes,Engineering Entrance Coaching classes,Class XI-XII Tuition (PUC).I have 2 years of experience in teaching classes for students. Clarity Institute conducts classes in Class 11 Tuition, Class 12 Tuition and Engineering Entrance Coaching. It is located in Sulur, Coimbatore. It takes Regular Classes- at the Institute.